Every zodiac sign connects with a very important Tarot card! At first it may seem like the worlds of Tarot and Astrology couldn't be further apart. Tarot uses cards, but Astrology uses star maps. 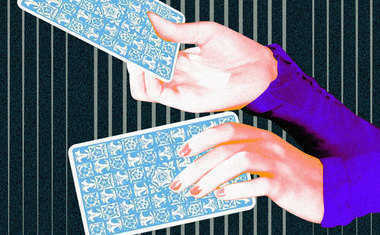 Tarot relies on a person's intuition, while Astrology is based on the past, present, and future layout of the cosmos. So where do these two profound divination systems cross paths? Every sign of the astrological zodiac is directly tied to a Major Arcana Tarot card. Through historical, mythological, and artistic symbolism, the energy of the zodiac sign is emphasized and carried in its personal card! Understanding the strengths and challenges, the skills, fears, patterns, and overall nature of your zodiac sign can you help you identify with yourself on a more personal level, and find your place in this world. So how can your sign's Tarot card help you? The Tarot card associated with your zodiac sign features certain objects, animals, colors, symbols, and people that are connected to your sign. It's like a tangible, hands-on representation of you! Meditating on your Tarot card or carrying your card around with you can help you absorb and emit your strongest and most personal energies day-to-day. Some of the symbols that connect a zodiac sign to its Tarot card are obvious, while others are more subtle. For instance, it's not hard to see that Leo, the sign of the Lion, is connected to the Strength Tarot card -- because the Strength card prominently features a Lion front and center! But in Astrology Leo also stands for bravery, honor, compassion, and love. While not as obvious as the Lion, the symbols of the Maiden, her sash and crown, her interaction with the Lion, and the golden sky behind are ALL symbols that connect to Leo. And it's not just these 12 Major Arcana cards that connect Tarot and Astrology -- there are so many other ways these two sciences sync up! For example, every suit in the Minor Arcana Tarot cards is linked to a different element. 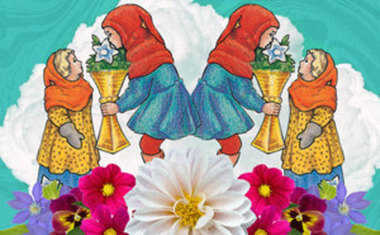 The Wands cards represent the Fire element (Aries, Leo, Sagittarius), the Pentacles are the Earth element (Taurus, Virgo, Capricorn), the Swords represent Air signs (Gemini, Libra, Aquarius) and the Cups are connected to the Water signs (Cancer, Scorpio, Pisces). Not to mention cards like The World, the Wheel of Fortune, and the Nine of Swords often depict Astrological symbols or characters, too. When one divination system delivers a message to you, you should pay attention. When multiple systems sync up to deliver the same message and meanings to you, that's when you should REALLY listen up!